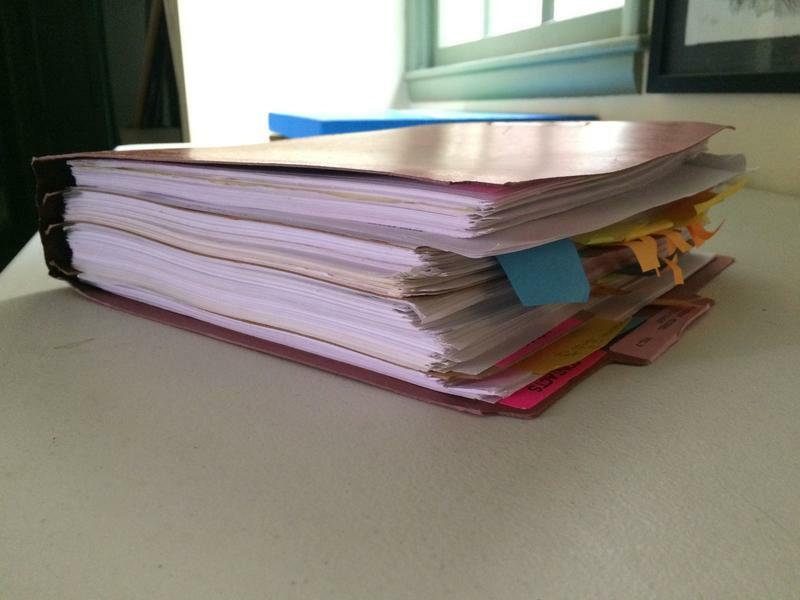 One of eight foster care files for Susan Lawrence's adopted son. Rockbridge Area Department of Social Services in Lexington. A Rockbridge County judge signed an order late in August that officially begins the selection process of up to 11 county residents to serve on a special grand jury that will investigate Rockbridge County’s social services department. The department has been rocked by scandal in recent months after an internal review accused the agency of disregarding, even shredding, reports of child abuse and neglect that may have resulted in the death of at least one child. As the case gets underway, victims are coming forward with disturbing details about the agency. WMRA's Jessie Knadler has one such story. 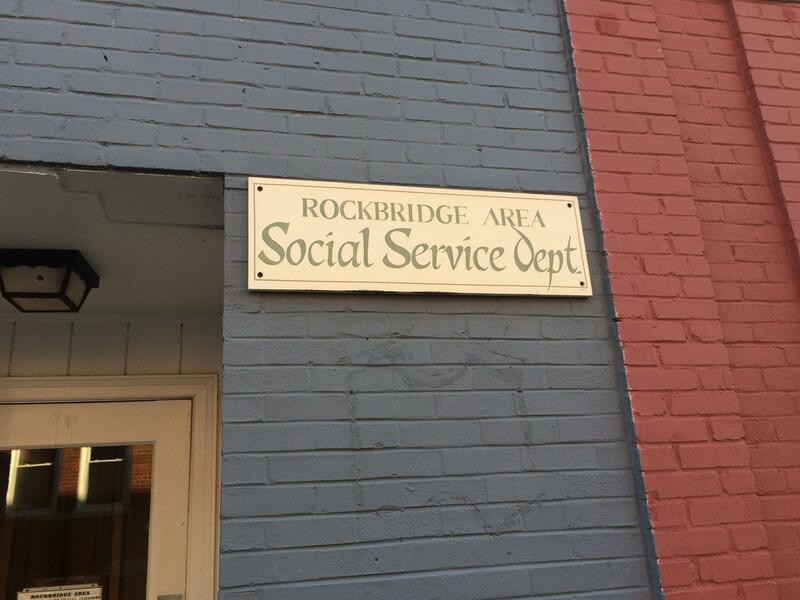 As far as Susan Lawrence is concerned, the latest fracas engulfing the Rockbridge Area Department of Social Services was a long time coming. She’s been complaining about the agency for more than a decade. Her main bone of contention: A breakdown in social services isn’t like dysfunction in another government bureaucracy. A breakdown in social services can actually destroy lives. A little backstory: For many years, Susan Lawrence, who has a master’s in education, ran a private preschool in Lexington. One of the kids at her preschool was a funny, outgoing 4-year old named Michael. Michael, it became known, was being abused by his adopted family. Social Services was going to place him in foster care. Susan didn’t want Michael to go into foster care. Michael was best friends with her own biological son. He spent a lot of time at her house. So she filled out the paperwork with social services to become his permanent foster family. SUSAN LAWRENCE: He was with people he knew and loved him and suddenly we got a call saying he was being pulled and went into foster care, and just… horror story. Susan found out through a Freedom of Information Act request years later that Rockbridge social services never processed her paperwork. SUSAN: Our paperwork to be foster parents, background checks, all that stuff, had never been processed and so that’s why he was pulled from our home. This was a child who from 8 to 16 was in foster care and horrifically abused repeatedly. Susan filed numerous complaints that she says were ignored. She eventually went to court and won custody of Michael when he was 16. Two years later, a court order gave her possession of his foster care file. But DSS never turned over those files until mid-August of this year after interim director Bill Burleson took over the agency. Each file is 2 to 3 inches thick. There are eight of them. They show that in his last two years of foster care, Michael was transferred to Liberty Point, a private facility owned by Universal Health Services* in Staunton that is licensed to only care for teenage boys with intellectual disabilities. SUSAN: Our son doesn’t have an intellectual disability. He’s never had an intellectual disability. If he did have one, it wouldn’t have gone away. He doesn’t have one now. He didn’t have one before. The file points to what she suspected all along – that what happened to Michael during his years in residential facilities is reminiscent of the Jack Nicholson film One Flew Over the Cuckoo’s Nest. SUSAN: Can you imagine being a teenage boy who doesn’t have an intellectual disability locked in a facility where they’re treating you like you have an intellectual disability? [Where] Your education consists of “Here are stop signs, what does the green light mean?” That is your education. You’re not getting algebra. MICHAEL LAWRENCE: A lot of those drugs have a side effect. Then they’ll give you another drug for the side effect. Then that drug has a side effect then they give you another drug for that side effect. They keep giving you more drugs until there aren’t anymore side effects. He kind of laughs about it now. Like it’s no big deal. Make no mistake: It was such a big deal his entire development ceased. MICHAEL: When I went into foster care I had just begun puberty. I came out at 16 years old and still didn’t finish puberty so literally all the drugs put me on like a biological halt. His leg was fractured while at Liberty Point. The Virginia Department of Mental Health concluded the accident was the result of inappropriate and unnecessary restraint. A year later, he suffered two broken teeth after falling to the ground during an altercation with staff. MICHAEL: Imagine someone breaking your teeth out, holding you down in a five-point restraint and expect you to remain calm while your mouth fills up with blood and you can’t catch your breath because you’re trying to fight off five grown men. Liberty Point did not return phone calls for comment. For Susan Lawrence, the failure of Rockbridge DSS to process her foster care paperwork all those years ago goes so far beyond a local problem. In August, she filed a complaint with both the Department of Justice and Virginia Governor Terry McAuliffe. In it, she accused the Virginia Department of Social Services and local DSS agencies of participating in Medicaid fraud by claiming that children have more severe or different disabilities than they actually do in order to assure their placement in facilities that have beds available. Her complaint is currently being reviewed by the Department of Health and Human Services. Michael is 24 now. He seems to be doing okay, despite his harrowing upbringing. He lives independently. He works full time. He chuckles a lot. He says he tries to not dwell on bad thoughts. But it’s hard. MICHAEL: Looking back at it now, yeah, I was a foster kid for seven years. I don’t have any pictures of me, of friends, family, anything. You take that stuff and you think, wow, that’s seven years of my life I lost. *An earlier version of this story misidentified the corporation that owns Liberty Point Behavioral Healthcare. It is owned by Universal Health Services, not United Health Services, as previously reported. A report this summer revealed deep problems at the Rockbridge Department of Social Services – problems so deep they may have contributed to the death of at least one child, and allegations of mismanagement and improper document shredding go back years. WMRA’s Jessie Knadler reports.